thumbzup’s Payment Pebble® firmware 3.1.4 has received Payment Card Industry (PCI) Security Standards Council PIN TRansaction Security (PTS) Testing Programme. Aproval is under PCI PTS version 4. The firmware is available for all version 2 Payment Pebbles (model tCR2) and will be updated over the air through the thumbzup payment app on host devices. The Payment Pebble is thumbzup’s secure card reader that handles card and contactless device transactions. 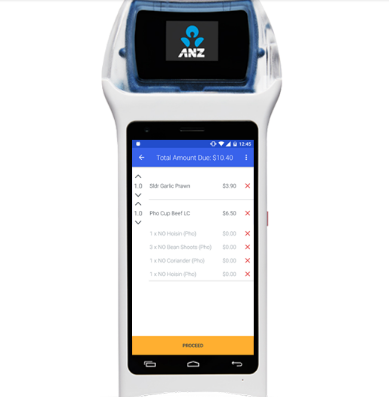 It is available as a stand alone reader for Android and iOS mobile devices, as well as incorporated into the thumbzup business mobility platform the Payment Blade. The firmware is the software that provides the low-level control for the Payment Pebble’s hardware. In effect, it acts as the device’s operating system. Given that the Payment Pebble handles card information, including the sensitive card number and PIN, it must be thoroughly tested before being allowed for use.This testing is done under the latest PCI PTS standard version. thumbzup provides frequent updates to its Payment Pebble firmware in order to meet the needs of an evolving payment industry, as well as to improve efficiencies and provide enhanced capabilities to the device. “The updated firmware demonstrates thumbzup’s commitment to continuously technical improvement, and maintenance of compliance to changing demands from payment schemes,” said thumbzup Chief Technology Officer, Willem Büchner. Find this and other versions of the Payment Pebble (as tCR2) firmware listed on the PCI website.